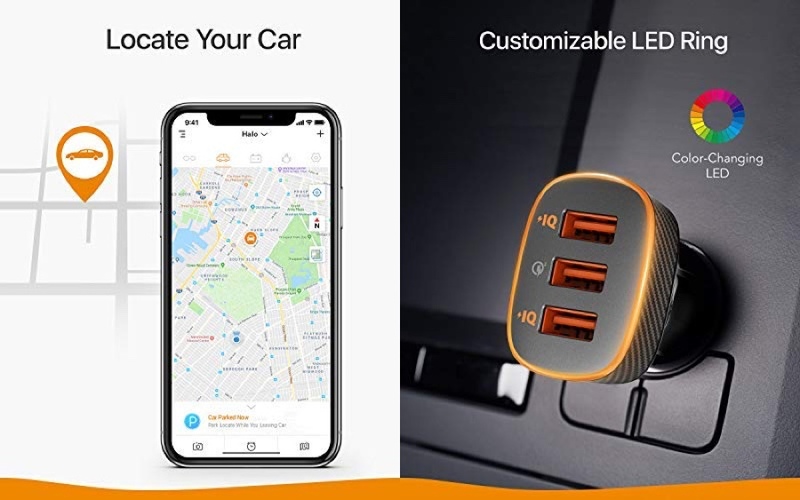 Looking for a car charger that does it all? ANKER’s SmartCharge Halo is the product you need today. It’s discounted to just $13.99 as well. Car chargers are some of the most uninspiring pieces of accessory you can buy these days. But they’re absolutely essential, as they allow you to keep your smart devices powered up at all times. The ANKER SmartCharge Halo is not your ordinary charger as it features three fast charging ports, with one of them being Quick Charge 3.0. This means that you can charge a supported device at full 18W speed. The rest of the ports features PowerIQ which means that you will charge up at 5V/2A. Since PowerIQ is smart, therefore it will detect the connected device on its own and deliver the fastest possible safest charge too. But the charging bit is not what makes this thing awesome. It’s the smart car locating feature. 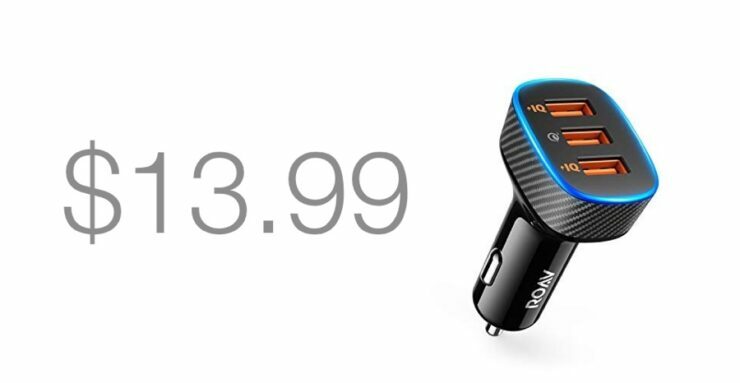 Thanks to the associated Roav Charger app which connects you straight to the Halo using Bluetooth, whenever you power down your vehicle, it will record its parked location allowing you to get back to where you left off on a map. Say goodbye to losing your car in a parking lot. You even have the option to fully customize the LED ring around the charger therefore you can blend it in with your vehicle’s ambiance. It’s a neat little features and something which will only bode well with users that are huge fans of RGB lighting. We highly recommend getting this product for the car locating feature alone. But of course, those three USB ports are an added bonus on top, allowing you to charge your phone, tablet and someone else’s smart device at full speed.